The Diversity & Inclusion Committee is seeking nominations for two awards to be presented during the 19th annual Dr. Martin Luther King Jr. Celebration Breakfast on Monday, Jan. 21. 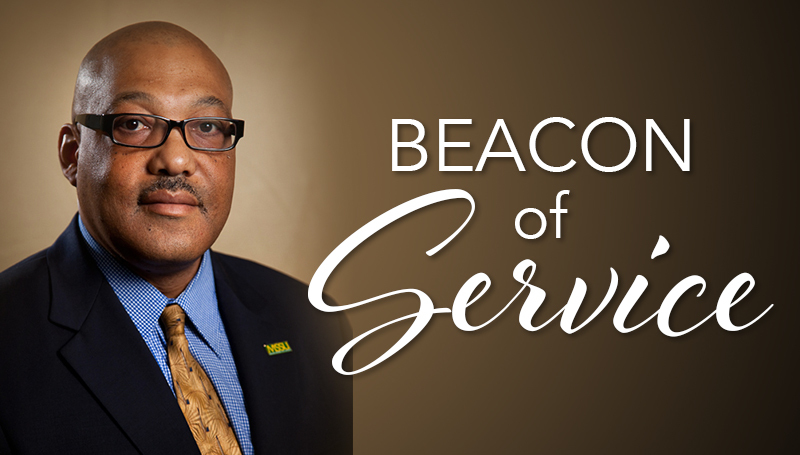 Nominations for the third annual Dr. Al Cade Beacon of Hope Service Award are due by Monday, Dec. 3. The award honors compassionate MSSU students who have contributed an extraordinary level of dedication and demonstrated superior leadership through exceptional volunteer service on or off campus. To nominate someone, send an email to Musser-L@mssu.edu detailing the student’s volunteer contributions. Last year’s recipient was Abigail McGuire. The committee will also recognize the student club with the highest number of combined volunteer service hours completed between the dates of Nov. 1, 2017, and Oct. 31, 2018. Student organizations should provide a total number of volunteer hours along with a brief description of the activities and the impact they made. The name of the organization and participating students should also be included. The club with the most hours will be recognized during the breakfast and will receive $100. To nominate a club, email Musser-L@mssu.edu by Friday, Nov. 30.